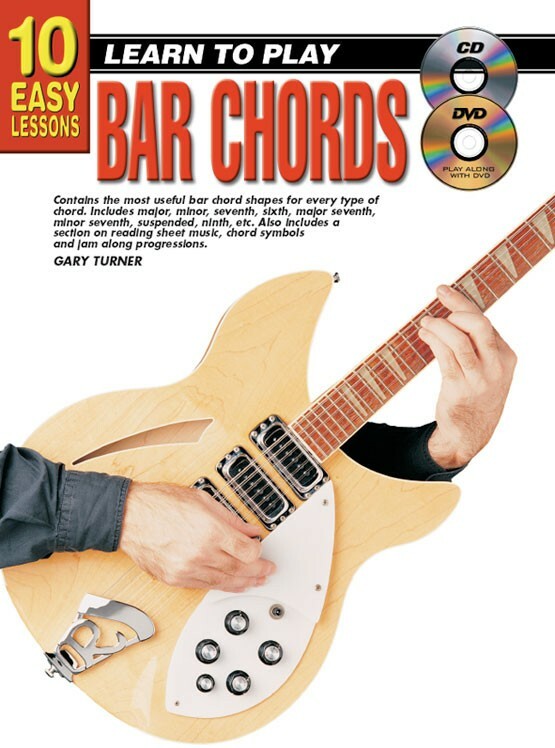 Contains the most useful bar chord shapes for every type of chord. Includes major, minor, seventh, sixth, major seventh, minor seventh, suspended, ninth, etc. 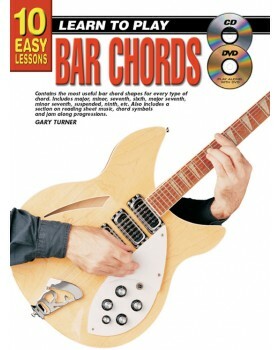 Also includes a section on reading sheet music, chord symbols and jam along progressions.